Our nerds will get you up and running in an instant. Whether it’s PC-Installations, WIFI printer or improve WIFI signal, we’ll get you going. We can help at every stage. So you might be at the start of a home build – we’ll ensure that everything is in the right place. If you’re looking for a great surround system, we’ll help to set up your multi-room speaker system. We’ll also ensure that your wireless network is running efficiently to prevent it from cutting out and spoiling your listening enjoyment. 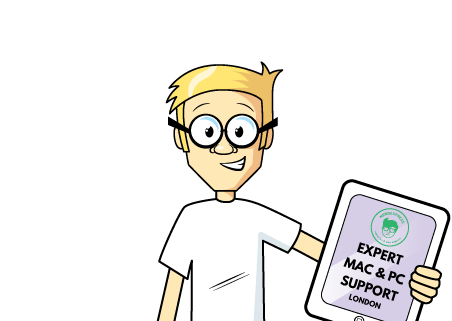 Perhaps you’re looking to take the big leap from Microsoft Windows to Apple Mac? Don’t worry, we’ll show you how simple it is. We are there to support you. Thinking of the big jump? It’s not as scary as you may think. We’ll make sure you find it easy to understand and get you up and running straight away. Love music? We can set up brilliant multi-room speaker systems so that you can have your favourite music playing throughout your home without having to change your equipment. If you’re finding that the Wi-Fi isn’t strong enough in your home, or you’ve got certain areas where the connection isn’t good, we can help to improve it.